I was commissioned by Alain de Botton to photograph his book about the world of Work. These framed pictures are from the resulting 'Pleasures and Sorrows of Work' (2009). 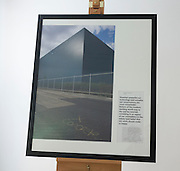 There have been 3 resulting exhibitions from this project and the framed pictures from 2 of those venues are available for sale as limited edition Lambda prints that include printed photographs and specially-edited text directly from Alain's book mounted into the picture frame. The first 6 are from a show in Oxford and the second from an exhibition in Belgium. 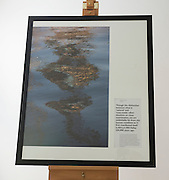 They're for sale in 109 x 60cm black frames, accompanied by a selected excerpt from de Botton's writing. These specially-created photographs and their unique text can all be purchased individually for £350 + VAT + shipping or as a collection by request. Jpegs of each image can also be sent for closer scrutiny.